The incidence of renal cell carcinoma (RCC) has more than doubled in the UK since the late 1970s. Much of this increase may be explained by the rise in the incidental radiological detection of asymptomatic small renal masses, but >25% of patients have metastatic disease at diagnosis. Of the patients who undergo surgery with curative intent one third will subsequently develop metastatic disease. Therefore, half of all patients will have advanced disease, which is associated with a five-year survival of only 5%. An improved understanding of the factors that drive metastatic disease and treatment resistance is fundamental for improving these outcomes. We have previously revealed extensive intra-tumour heterogeneity present within RCC demonstrating that genetically distinct, physically and temporally separated subclones evolving in a branched pattern contribute to the make-up of the tumour as a whole. This type of heterogeneity appears to play a central role in tumour evolution, progression and treatment resistance and is also a significant hurdle for precision medicine, not least through the effect of tumour sampling bias on prognostic and predictive markers development. 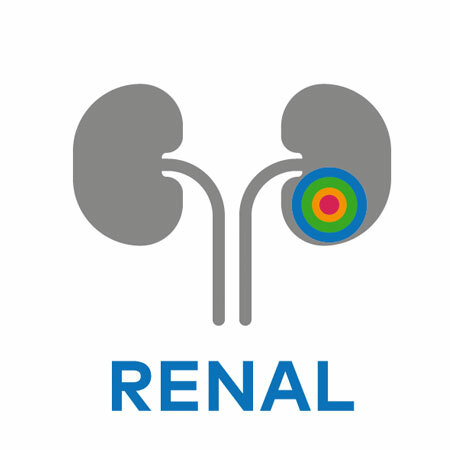 The principal objectives of TRACERx Renal are to define drivers and intratumour heterogeneity in RCC and determine the relationship between heterogeneity and disease stage, clinical outcome and treatment response. Additional objectives include the identification of drivers of metastatic progression and drug response, or resistance and establishing the utility of cell-free tumour DNA in patients’ blood and urine as a predictive biomarker in RCC. Finally TRACERx Renal will asses the impact of the genomic landscape upon anti-tumour T cell responses, especially in the context of immunotherapy. Metastasis as an evolutionary process. Turajlic S, Swanton C. Science. 2016 Apr 8;352(6282):169-75. SnapShot: Renal Cell Carcinoma. Turajlic S, Larkin J, Swanton C. Cell. 2015 Dec 3;163(6):1556-1556.e1. Ultra-deep T cell receptor sequencing reveals the complexity and intratumour heterogeneity of T cell clones in renal cell carcinomas. Gerlinger M, Quezada SA, Peggs KS, Furness AJ, Fisher R, Marafioti T, Shende VH, McGranahan N, Rowan AJ, Hazell S, Hamm D, Robins HS, Pickering L, Gore M, Nicol DL, Larkin J, Swanton C. J Pathol. 2013 Dec;231(4):424-32. Genomic architecture and evolution of clear cell renal cell carcinomas defined by multiregion sequencing. Gerlinger M, Horswell S, Larkin J, Rowan AJ, Salm MP, Varela I, Fisher R, McGranahan N, Matthews N, Santos CR, Martinez P, Phillimore B, Begum S, Rabinowitz A, Spencer-Dene B, Gulati S, Bates PA, Stamp G, Pickering L, Gore M, Nicol DL, Hazell S, Futreal PA, Stewart A, Swanton C. Nat Genet. 2014 Mar;46(3):225-33. How should clinicians address intratumour heterogeneity in clear cell renal cell carcinoma? Soultati A, Stares M, Swanton C, Larkin J, Turajlic S. Curr Opin Urol. 2015 Sep;25(5):358-66. SETD2 loss-of-function promotes renal cancer branched evolution through replication stress and impaired DNA repair. Kanu N, Grönroos E, Martinez P, Burrell RA, Yi Goh X, Bartkova J, Maya-Mendoza A, Mistrík M, Rowan AJ, Patel H, Rabinowitz A, East P, Wilson G, Santos CR, McGranahan N, Gulati S, Gerlinger M, Birkbak NJ, Joshi T, Alexandrov LB, Stratton MR, Powles T, Matthews N, Bates PA, Stewart A, Szallasi Z, Larkin J, Bartek J, Swanton C. Oncogene. 2015 Nov 12;34(46):5699-708. Development of synchronous VHL syndrome tumors reveals contingencies and constraints to tumor evolution. Fisher R, Horswell S, Rowan A, Salm MP, de Bruin EC, Gulati S, McGranahan N, Stares M, Gerlinger M, Varela I, Crockford A, Favero F, Quidville V, André F, Navas C, Grönroos E, Nicol D, Hazell S, Hrouda D, O’Brien T, Matthews N, Phillimore B, Begum S, Rabinowitz A, Biggs J, Bates PA, McDonald NQ, Stamp G, Spencer-Dene B, Hsieh JJ, Xu J, Pickering L, Gore M, Larkin J, Swanton C. Genome Biol. 2014 Aug 27;15(8):433. Recurrent chromosomal gains and heterogeneous driver mutations characterise papillary renalcancer evolution. Kovac M, Navas C, Horswell S, Salm M, Bardella C, Rowan A, Stares M, Castro-Giner F, Fisher R, de Bruin EC, Kovacova M, Gorman M, Makino S, Williams J, Jaeger E, Jones A, Howarth K, Larkin J, Pickering L, Gore M, Nicol DL, Hazell S, Stamp G, O’Brien T, Challacombe B, Matthews N, Phillimore B, Begum S, Rabinowitz A, Varela I, Chandra A, Horsfield C, Polson A, Tran M, Bhatt R, Terracciano L, Eppenberger-Castori S, Protheroe A, Maher E, El Bahrawy M, Fleming S, Ratcliffe P, Heinimann K,Swanton C, Tomlinson I. Nat Commun. 2015 Mar 19;6:6336. Inter and intratumour heterogeneity: a barrier to individualized medical therapy in renal cell carcinoma? Fisher R, Larkin J, Swanton C. Front Oncol. 2012 May 18;2:49. doi: 10.3389/fonc.2012.00049.